Struggling to understand the term ‘Steel Castings’? No worries, we’ve got you covered. Casting is a manufacturing procedure in which molten metal is poured into a special mould to create new objects. These objects are used for different applications in different industries. Steel casting is the option when cast iron can’t offer enough shock resistance, durability and strength. 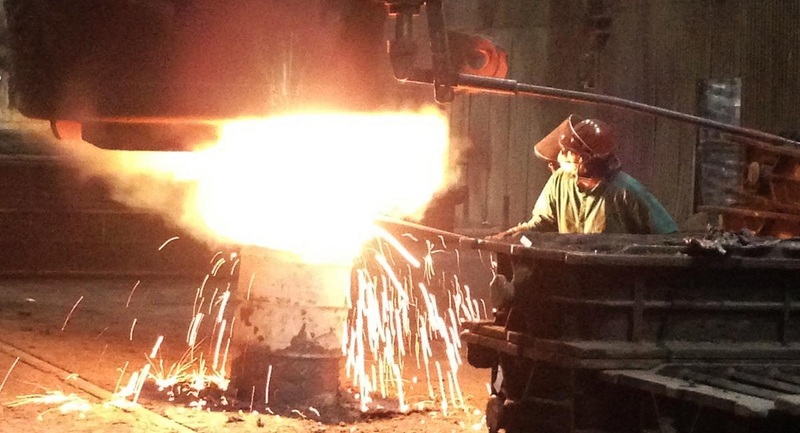 The best and most common steel castings include: marine equipment, mining machinery, hydroelectric turbine wheels, gears, forging presses, valve bodies, railroad truck frames, turbocharger turbines, engine cylinder blocks, and more. Steel castings are divided into two main groups: Alloy Steels and Carbon Steels. Steel is quite difficult to cast in comparison to iron. We all know that steel has greater shrinkage rate and higher melting point, and therefore, it requires special attention during mold design. Manufacturers need to take good care of riser capacity to avoid cavity during the process. Since thinner areas cool down quickly in comparison to thicker parts, manufacturer also needs to pay special attention to the thickness of mold cavities. A little ignorance can lead to fracture due to the occurrence of internal stress points. Molten steel is also very difficult to pour as it is less fluid compared to molten iron. Steel is more prone to reacting with internal mold surface than iron. So you are always ready for unpredictable results when dealing with steel. If you’re looking for a credible, professional foundry, be sure to do your due diligence to see if they are capable of delivering you your desired services and results. You need to see things skeptically to find out what type reputation they have in the marketplace. Be sure to ask your friends or colleagues for their recommendations to make a wise decision. Want to add your own thoughts to this? Please feel free to offer your feedback in the comment box below.